Take note fans of vintage style. This Penrose Annual 60 wall art is exactly what your space needs. We love its balance of considered design with a playful and colourful touch. 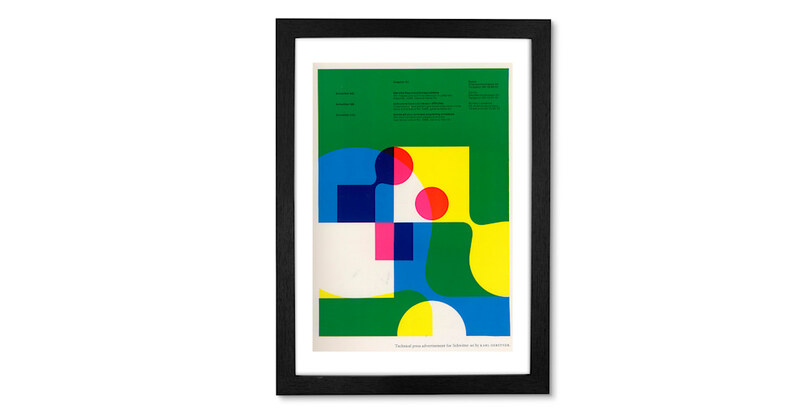 A print from the cover of the iconic Penrose annual, this framed piece is a great way to add a mid-century modern feel to your walls. We love its fluid lines and blocks of bold colour.